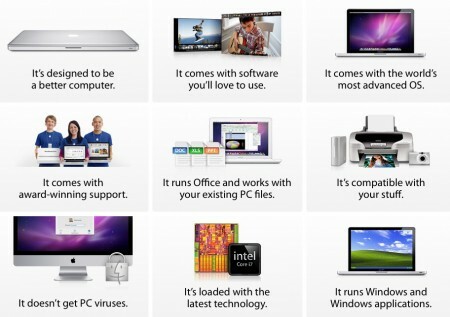 Apple has started a new advertisement campaign titled “Why you’ll love a Mac”. The campaign showcases some of the Mac features including hardware design, Mac software and the ability to run Microsoft Windows. The campaign’s is located here. With that Apple has ended the “Get a Mac” series of advertisements.